An award-winning museum dedicated to the Durham Light infantry could close, councillors are being warned. 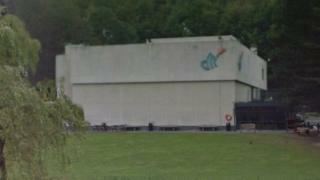 The DLI Museum in Durham could see its collection relocated to Spennymoor. In a report for Durham County Council's Cabinet, council officers said the building was too expensive to maintain and temporary exhibits would instead be held at Durham University. The regiment which owns the memorabilia said it was sad but "optimistic for the future". The DLI Museum opened in 1968 and has exhibits such as uniforms and firearms dating from 1758 to 2011. Terry Collins, the council's neighbourhood services director, said the museum cost £397,000 to maintain last year which equated to £10 per visitor. The average cost to the council for its other four museums was £1.60, he said. The council would have to spend £251,000 to prepare the new storage space and £70,000 a year to maintain the collection but the authority would save £221,000 a year by closing the museum, Mr Collins said. The trustees of the Regimental and Chattels Charity of the Former Durham Light Infantry said the closure was sad but the proposal was a "good solution to a difficult situation". The museum has previously been awarded quality status by Visit Britain. The cabinet will meet in Barnard Castle on 21 October.